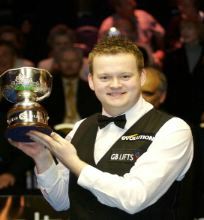 Shaun Murphy from England successfully defended the Malta Cup. Murphy defeated Ken Doherty (Ireland) 9-3 in the final. John Higgins (Scotland) and Ding Junhui (China) lost out in the semi-finals. Murphy earned £20,000 for the victory. Doherty won £9,000 as runner-up. The Malta Cup was a non-ranking event this year so there are no changes in the ranking lists. The tournament took place at the Hilton Conference Centre, Portamaso, Malta Feb 4-10, 2008. Next up on the snooker calendar is the Welsh Open which starts 11th February.